Zhāng Yìmóu (张艺谋) (born November 14, 1950) is a China|Chinese filmmaker and cinematographer who made his directorial debut in 1987 with the film Red Sorghum. An overaged student who was accepted only after extensive appeals, Zhang graduated from the Beijing Film Academy in 1982 along with compatriots Chen Kaige and Tian Zhuangzhuang. He then began working as a cinematographer for the Guangxi Film Studio. Zhang's first work, One and Eight (as director of photography), was made in 1984. Zhang then collaborated with Chen Kaige, the latter acting as director, to photograph one of the defining Chinese films of the 1980s, Yellow Earth (1984), later to be considered the inauguration film for the Chinese Fifth-Generation directors. Zhang continued to work with Chen for the latter's next film, The Big Parade (1985). 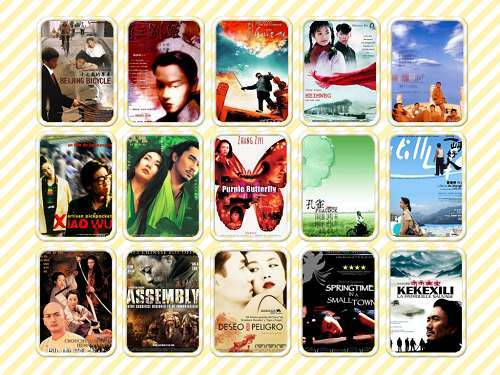 King Hu (胡金铨, April 29, 1931 - January 14, 1997) was a Hong Kong and Taiwan-based China Chinese film director whose wuxia films brought cinema of China Chinese cinema to new technical and artistic heights. Also a noted screenwriter|scriptwriter and set designer, it was his films Come Drink With Me (大醉侠, 1966) and Dragon Gate Inn (龙门客栈, 1967) which inaugurated a generation of wuxia films in the late 1960s. Hu was born in Beijing, and he emigrated to Hong Kong in 1949. After moving to Hong Kong Hu worked in a variety of occupations, such as advertising consultant, artistic designer and producer for a number of media companies, as well as a part-time English tutor. 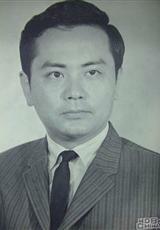 In 1958 he joined the Shaw Brothers Studio as set decorator, actor, scriptwriter and assistant director. Under the influence of Taiwanese director Li Han-Hsiang, Hu embarked on a directorial career, helping him helm the phenomenally successful The Love Eterne (1963).